Chevening Scholarship is an International Scholarship for students from 144 countries and was started in the year 1984. It is similar to Fulbright Scholarship scheme of USA which invites scholars from 155 countries to pursue Master's studies in the USA. It is now open for applications for Indian Students who have Bachelor's degree and are willing to go for one year Post-graduate program at any UK university. 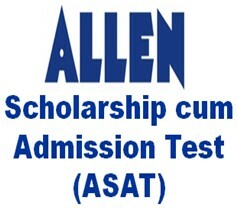 Every year close to 25,000 apply for the scholarship and only 700 students are awarded the scholarship. 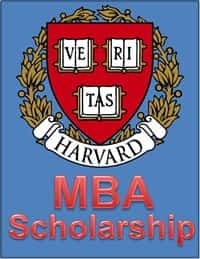 The scholarship aims at selecting the "high-calibre graduates with the personal, intellectual and interpersonal qualities necessary for leadership." This page gives the complete details regarding the Chevening Scholarship. Chevening Scholarship will cover the tuition fee of the students along with the Monthly stipend, airfare and various grants covering the cost of thesis and study material. The student should upload passport, 2 references, and unconditional acceptance letter of any UK university in order to complete the application process. It is a prestigious scholarship and provides financial assistance along with the opportunity to become part of the highly regarded and influential Chevening global network. It is not compulsory to have an admission offer from a UK university before applying to the Chevening scholarship. The students can also choose any other course that is not under the above-given study are however the priority areas indicate the fields of study options that the British Embassy/ High Commission will consider favourably when reviewing the applications. Nationality: Indian students are eligible for making application for the scholarship. Academic Qualification: Applicant should have an Undergraduate Degree with an upper second class equivalent of a UK degree. Work Experience: The student applying for the scholarship needs to have at least 2 years work experience. Language: The candidate should be able to communicate in English and should have at least 5.5 bands in IELTS examination or equivalent examination. Offer from UK University: The candidate must have applied to three different eligible UK university courses and should receive an unconditional offer from one of these choices by 12 July 2018. The students selected as Chevening scholars have to return to their home country after they finish their one-year post graduate program. University tuition fees: The scholarship will cover the Tuition fee of the University. A monthly stipend: A monthly stipend will be offered to students to meet their daily needs. 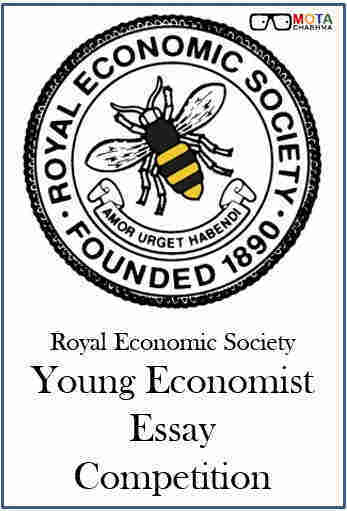 Travel costs to and from the UK: The economy class air fare for the scholars will be covered by the scholarship. An arrival allowance & homeward departure allowance: To help the students in hassle free arrival & departures, arrival & departure allowance will be given to the selected candidates. Grant for study materials & Thesis: The students will get grants to cover the cost of their thesis and study material. A study travel allowance: Students will also be provided with the grant to cover their expenses related to travel done for educational purpose. The cost of one visa application: The cost of visa will also be covered in Chevening Scholarship. A travel grant to attend Chevening events in the UK: To attend events organized by Chevening, selected candidates will get travel grant to participate in the events. Mode of Application: The applications are to be submitted by filling the online application form. Before filling the applications, candidates are required to answer some questions to confirm their eligibility for the scholarship. 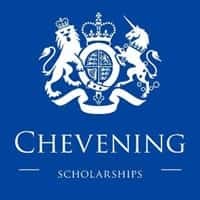 Which Courses are eligible under Chevening Scholarship: The students can choose any Master's Degree Course in the UK provided that it is a 12 months course and is available in the Online Application Form. In case the course you are looking for doesn't appear in the online application form you can contact the organisers and send in a mail to them. If approved, the course would be added to the Chevening Scholarship online application form. Valid Passport: The candidate needs to have a valid Passport. References: The candidate should send 2 reference letters written in English. University Transcripts: The candidate should submit the transcript of their Undergraduate as well Post-graduate Degrees. English Language: The candidates should send documents confirming that they meet the English language requirements. UK Master's university offer letter: The candidates should make applications to at least three different eligible UK university courses and have received an unconditional offer from one of these choices by 12 July 2018. The submission of the completely filled application form needs to be done once all the columns are filled and all the required documents are uploaded as once the application form has been submitted no changes in the application form is permitted. The candidates should submit the application form on or before 7 November 2017. The details filled by the candidates in the application form should be correct in all aspect. If an applicant will be shortlisted for a Chevening Scholarship, the candidates will be called for the interview in the period from 5 March to 2 May 2018. Chevening Scholarship Interviews may take place at a different time. The candidates if selected will receive an email with the instructions on booking the interview. The candidates should know that the slots will be booked on the first come first serve basis. So no objection in this regard will be considered.